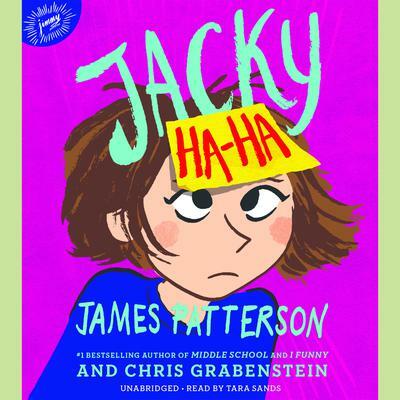 In his new middle grade novel that debuted at #1 on the New York Times bestseller list, James Patterson introduces his hilarious new heroine, Jacky Ha-Ha, a class clown who makes people laugh with her so they can't laugh at her. With her irresistible urge to tell a joke in every situation--even when she really, really shouldn't--twelve-year-old Jacky Ha-Ha loves to make people laugh. And cracking wise helps distract her from thinking about not-so-funny things in her life, like her mom serving in a dangerous, faraway war, and a dad who's hardly ever home. But no matter how much fun Jacky has, she can't seem to escape her worries. So one starlit night, she makes a promise to keep her family together...even if she has to give up the one thing that makes her happy. But can she stop being Jacky Ha-Ha, if that's who she really is?